I don’t think our lives will ever not be busy to be fair! 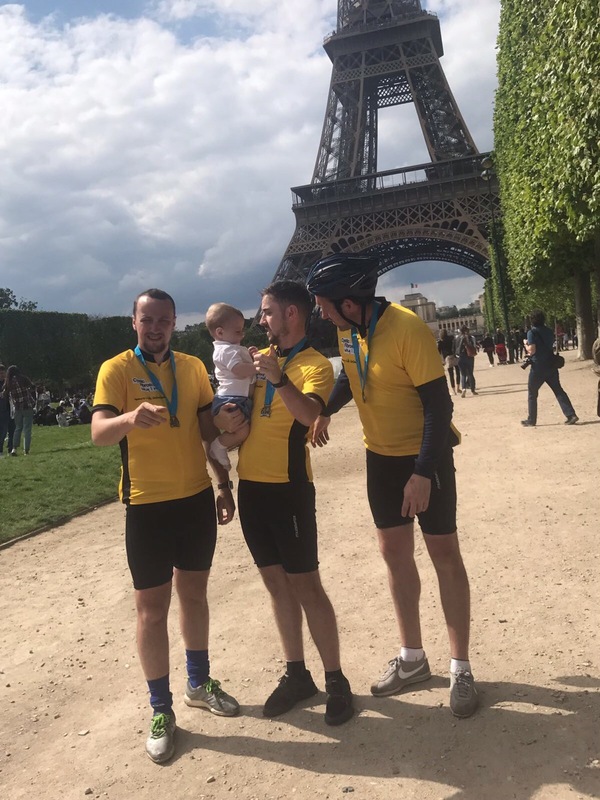 but the last few months (touch wood) we hadnt had any hospital admissions until the last month or so and fundraisers had quietened down ( not for long we have more coming up!) and it’s actually the first time since Stanley being born and being diagnosed that we both have had more time to think over things. A few months ago at clinic it was mentioned to us about going to see psychology. they are very much a important part of the team and Stanleys nurse suggested now might be the right time to go over everything that’s happened in the last year. So about 8/9 weeks ago we went for our first appointment, I don’t think either of us we’re sure what to expect but it was actually very relaxed, more just like a chat it didn’t feel clinical and there was no pressure for us to speak about anything we didn’t want to. 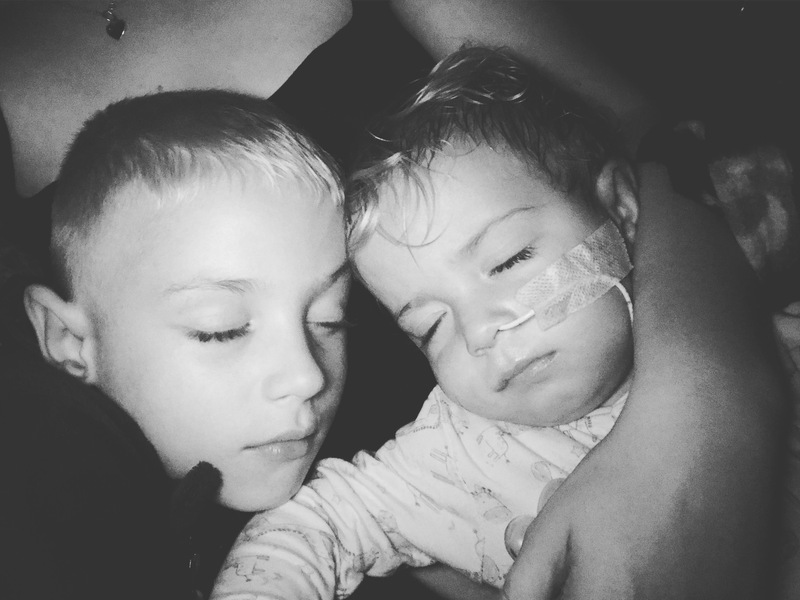 We discussed things in general, about both boys, about our general day to Day lives, how we feel about cf. I think without even realising you do bottle things up, most of the time we are so busy there’s barely even time to sit down properly most days let alone sit and have in depth conversations about how one another is feeling. 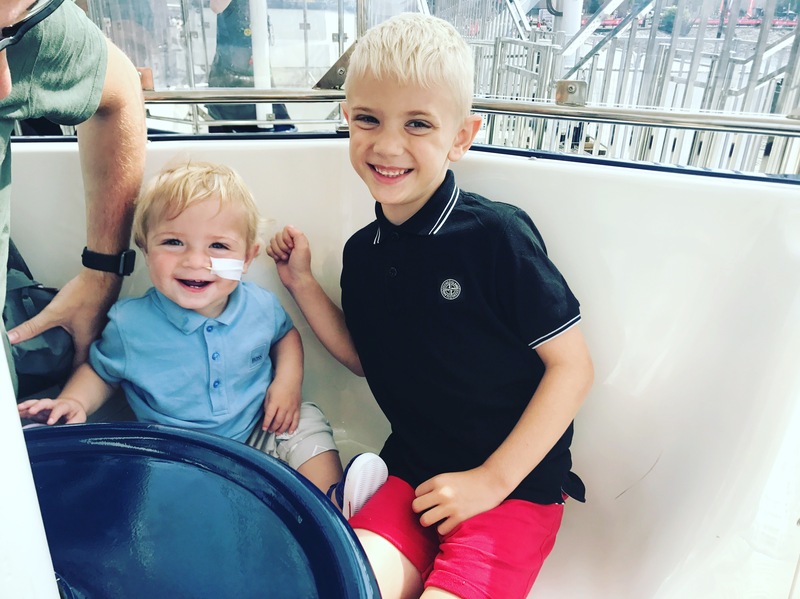 The blog started off as a way of raising awareness, a way of keeping every one up to date about Stanley and Alfie also, something for parents with a newly diagnosed child to read. It was actually my idea to start it, yet funnily enough the last 4/5 months I’ve not really wanted to blog, I didn’t want to speak about cf all the time, I didn’t want everyone to know everything, and I didn’t want to tell everyone how I felt all the time. But the blog was there to show what cf is really like not to sugar coat it, And the truth is not everything is ok all the time. 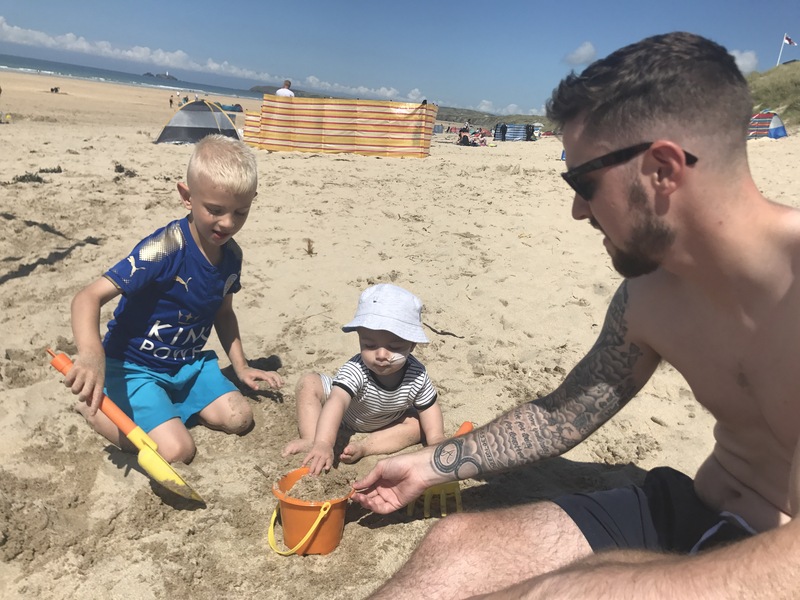 It sounds mad but I actually felt like I felt better when things were manic, as parents at that time you go into autopilot , you do what you need to and then think later on… only now we’re at later on. At some point things do slow down, and without a choice you do have more time to think over things and take in what has happened,and that’s what we did in the appointment we both spoke about everything that’s happened over the last year, all of the set backs, things that others maybe won’t have gone through, trying to give enough attention to both boys, daily routine, hospital admissions .. the list goes on. 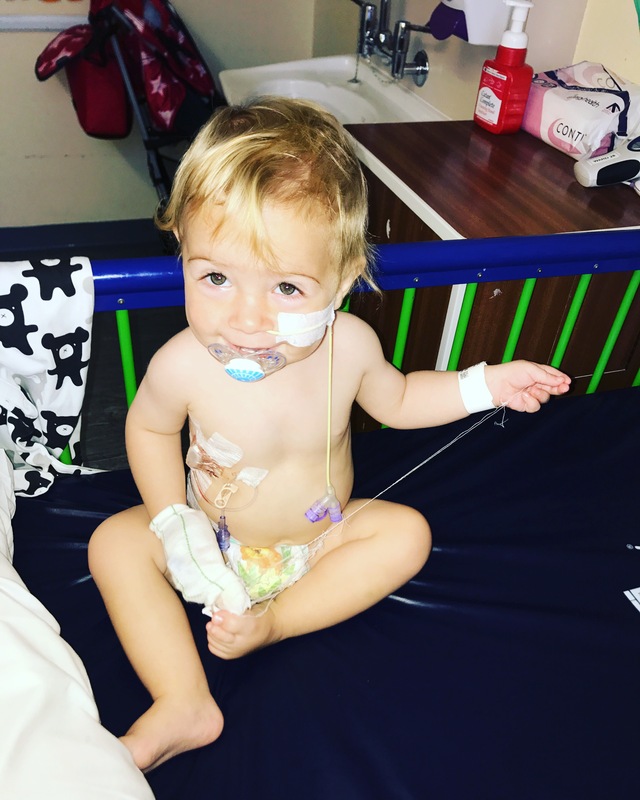 Alfie was actually one of the main topics of conversation, the impact of cf is not just a medical one. it has a huge impact on everything and family life is one of them, there isn’t a day where I don’t say to Alfie just give me a minute or I’m just doing this.. he was my first born, my only baby for five years, it was me and him and now he has to share my attention and jacks and in general he is so good about it, he adores Stanley and shows him so much love. 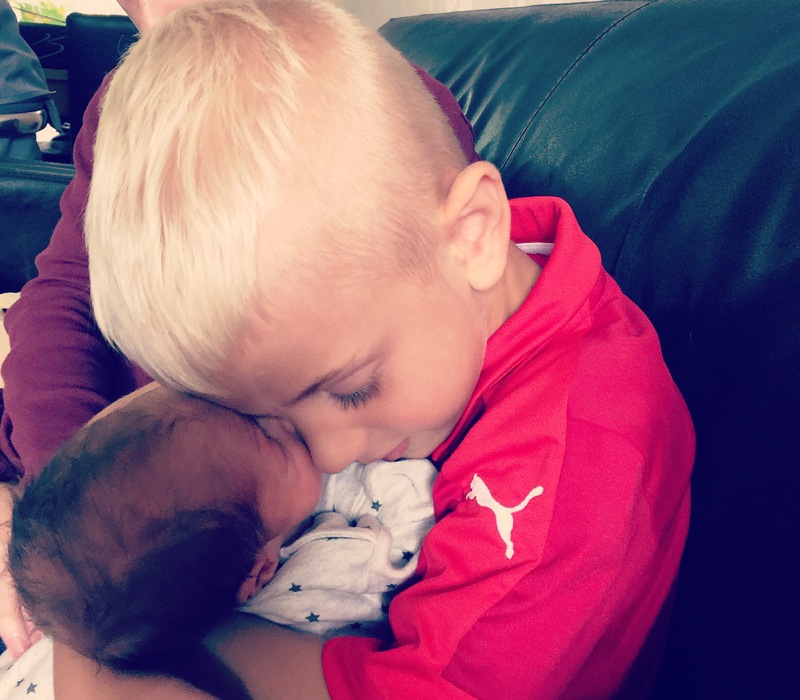 But it’s one of the things that upsets me most, I never want him to grow up thinking that we paid more attention to one than the other or that we care more about one child, because we would both do the same for Alfie is we had to, we already have had to in a way, but for different reasons, Alfie’s tube fed and has been for nearly six years, we’ve sat In a room 19 times waiting for hours at a time for him to come back from theatre, nights spent awake when he’s been unwell or in pain, countless hospital stays, appointments and everything inbetween, without even knowing it Alfie helped us to prepare for the medical side of things that are involved with cf. 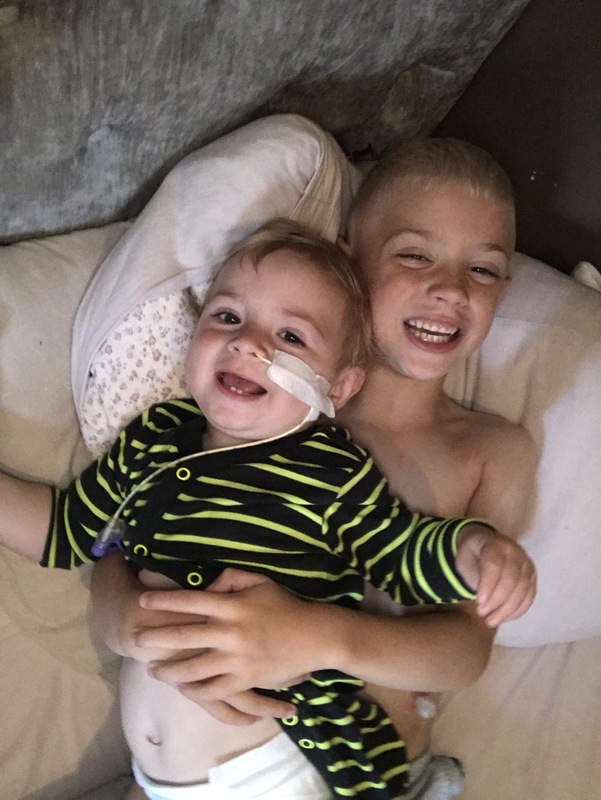 we try our best to give both boys the attention they need seperate to anything medical because they have there own personalities and there life’s arnt determined by a diagnosis and never will be. We spoke about this for a while and the phycologists reply was simply. “That must be really hard.” I don’t know what came over me but I cried, I sat there and cried to the point that I couldn’t even speak. Because this is hard...It’s actually really really hard. sometimes when you stop and think about everything it’s almost like someone has punched you in your chest, the feeling is literally like nothing else. at the end of the day I am only one person and I physically can’t split myself and be in ten places at once, no matter how much I would like to be able to – I can only give so much of myself and most days that just doesn’t feel like it’s enough. 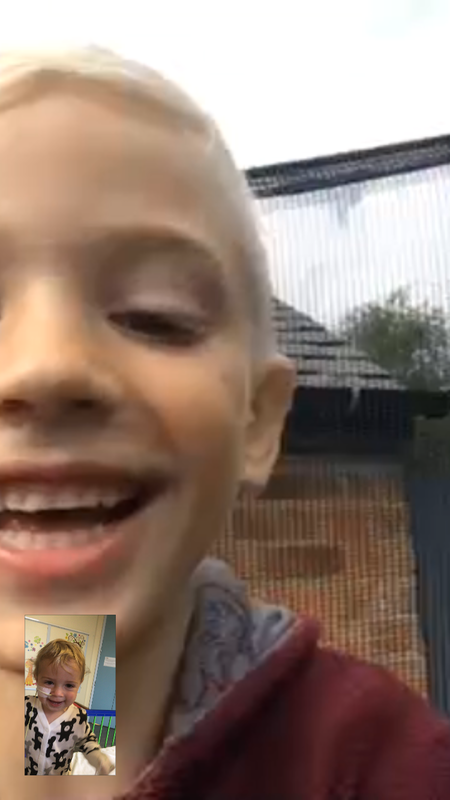 When the phycologist asked what it felt like jacks reply was grief. And it is, we look back at pictures now. 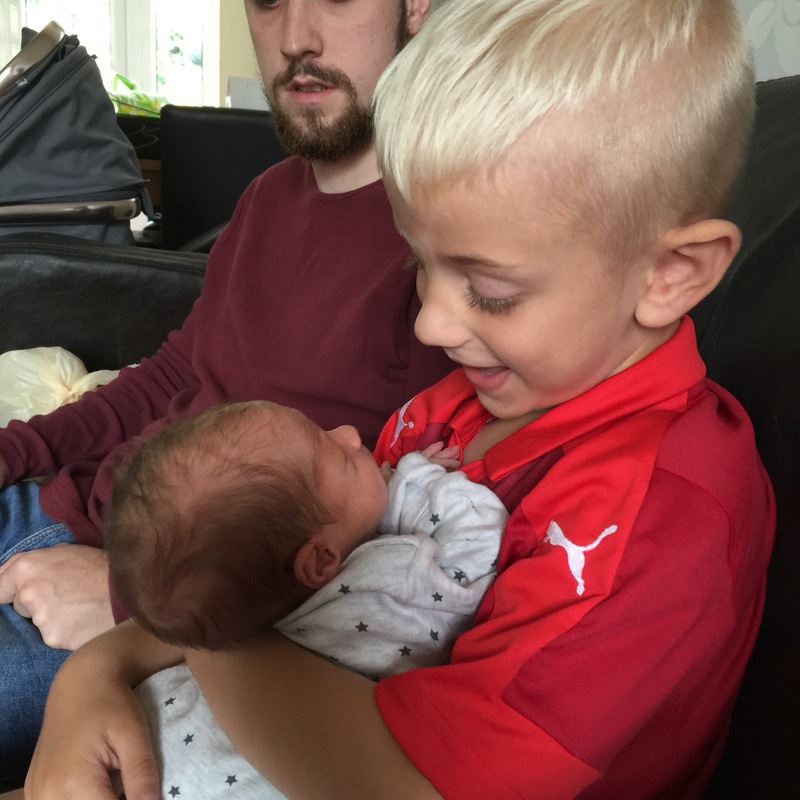 In those first few weeks after Stanley was born a “normal” family, a new baby, a excited big brother. 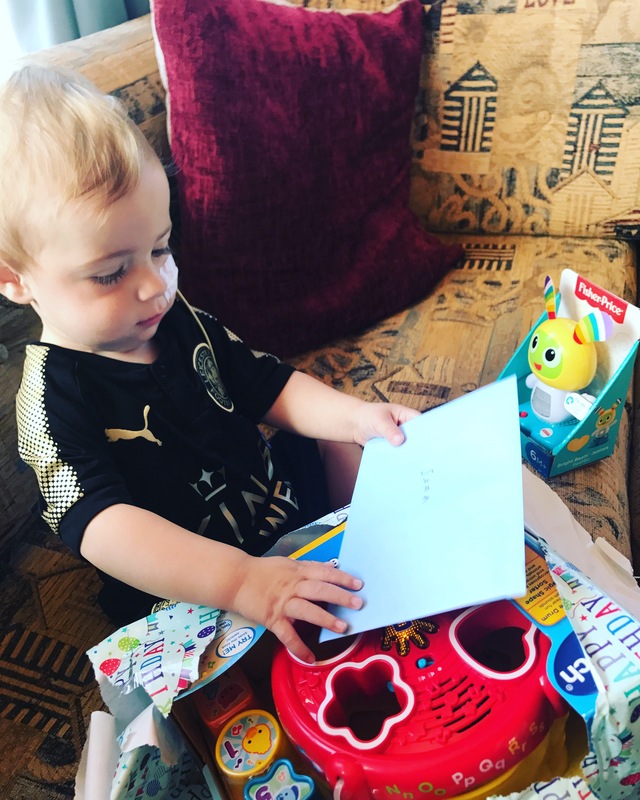 How do you get your head around someone giving you the news of your baby having cf, that in the space of those few seconds your life has changed forever?. Unless your a parent of a child that’s given a diagnosis – a serious one. Then you will never understand that feeling. when people say they can imagine how it feels – you can’t, you can imagine that it would be hard but you could never even come close to the exact feeling you get. In all honesty it’s hard for us to describe ourselves. Almost like a rollercoaster up and down constantly, from feeling lucky to have what we do and that we are able to manage what we have, then anger – that cf has taken so much away from us, time with both our boys, decisions that are simple for others are no longer for us, and sadness because let’s face it this is sad, all the horrible people in the world and our innocent little boy is born with this condition that he can’t do anything about how is that fair? and so sometimes you have to accept that it’s ok to not be ok with it. But what’s important is that you don’t stay there, get upset, think about things and move on – until the next time, because you will feel upset again and probably when you least expect it but you can’t stay there forever who will that help? Jack spoke about how he thinks maybe I had found it harder before Stanleys birthday and it’s true, The month leading up to Stanleys birthday was hard, I’m not quite sure why but I didn’t feel a proper excitement for his first birthday, of course I looked forward to it it’s a big milestone, but it just made me feel sad, and for the first time in the appointment when asked why I actually answered with ” it’s because I don’t know how many birthdays I will get with him” and the sad fact is that’s the truth. We don’t want to have the attitude that his future is mapped out, because it’s not Atal but In general as humans we don’t cope very well with uncertainty. Not knowing what’s going to happen regarding anything can make most people worry. But when your faced with that reality on a daily basis it’s hard, it’s something most parents aren’t faced with the prospect of. 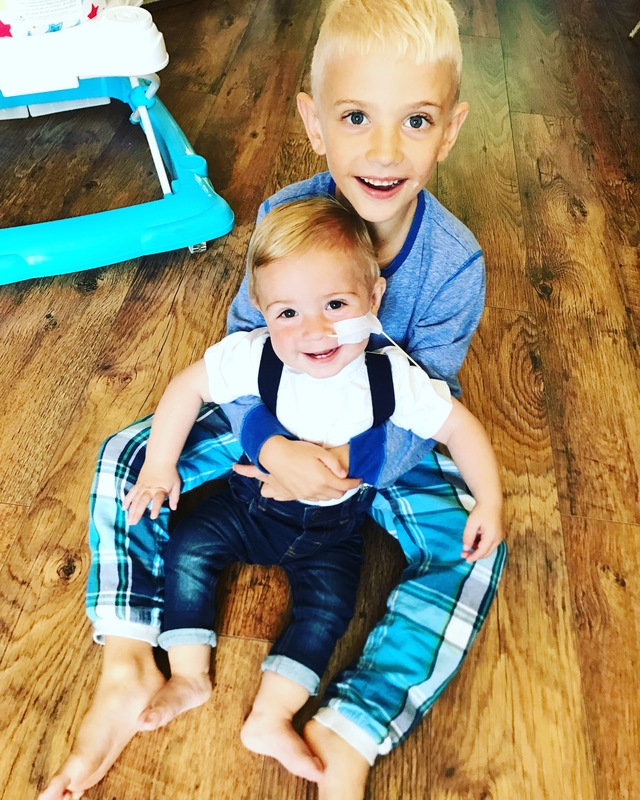 me and jack have both said it give us 10,20,100 treatments a day to do, feeding pumps, physio, medicines for either of the boys you name it and we would do it, day in day out but with cf were faced with doing treatments and knowing it’s not a cure, they will keep him as well as possible but it won’t fix him. But it’s that, that makes you get up in the mornings and do it all over again. When you feel that tired that you could stay in bed for a week, you get back up and you do it all again. It’s the fear of not doing them and what could happen. its that that keeps you going. 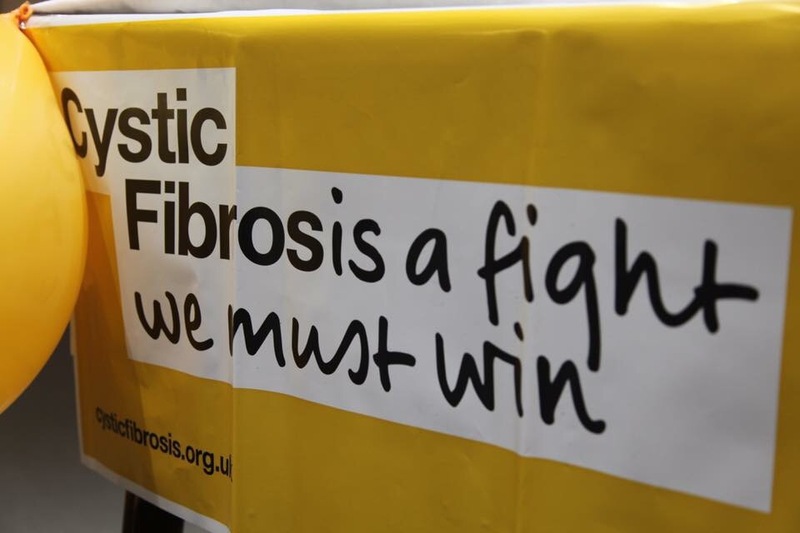 Things are changing all the time and as we’ve said before there are new breakthroughs coming through thick and fast, if there was ever a good time to be born with cystic fibrosis it’s now. We are very hopeful for Stanleys future but it still doesn’t make the uncertainty any easier to deal with. I know jack himself has actually found the blog a help, he’s not a huge speaker and so that’s his way of getting things off his chest, I know there’s going to be times where we arnt always in the same place. We’re not both always going to feel down at the same time and that’s ok as we both know how each other is feeling. Cf isn’t something that needs to be spoken about all the time, we don’t have to sit down and have a big conversation about feelings all of the time, but we do need to know what’s going on in each other heads. The mind is a powerful thing, keep things to yourself for to long and it could quite literally send you mad! Day to day were fine. 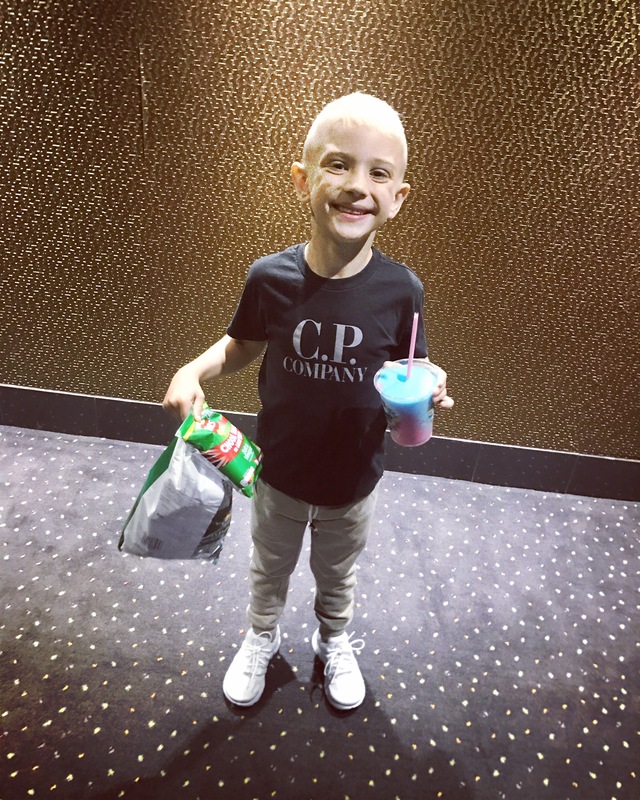 But sometimes things crop up and bring you back down with a bump, showing you that cf is unpredictable, things can change quickly, and after this first year we know that’s not something we have to worry about all the time. Instead Just something to be prepared for. Just as we have again this last month, Stanley has now been on iv antibiotics again. 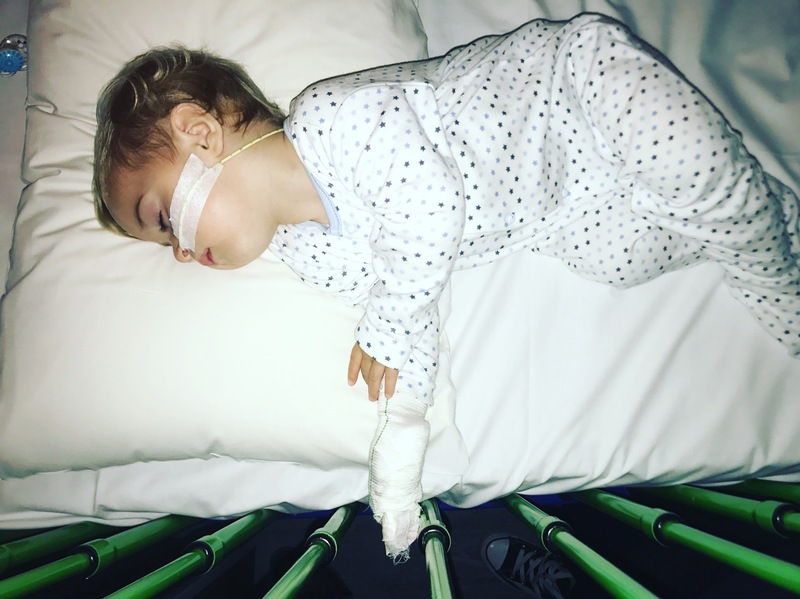 And after two hospital admissions, a high temperature and possible sepsis in his port line all within the space of 7 days, we are once again shown just how unpredictable cf and everything that goes with it can be. But you deal with it and move on from it. You appreciate the times when things are good – They by far outweigh the bad. 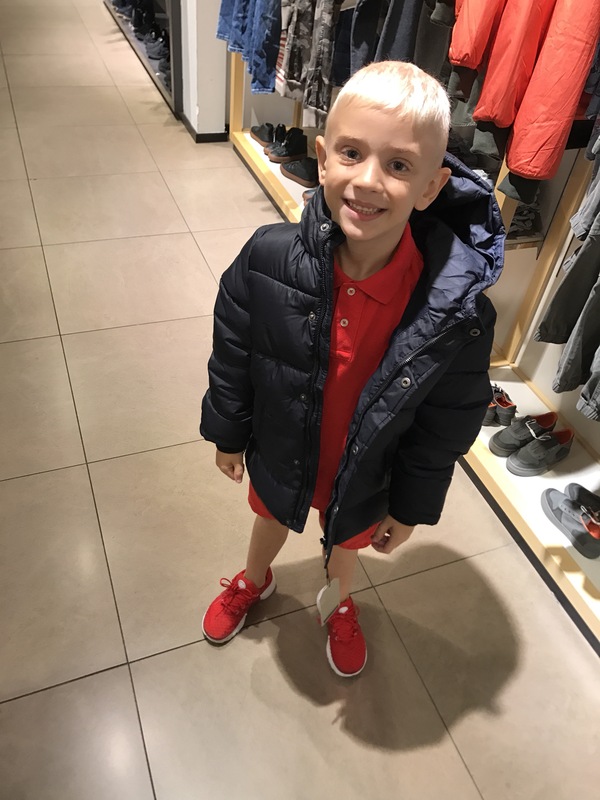 And in all honesty if we sit back and think of the last year and everything that’s happened it’s something to be proud of, we have raised two boys, despite everything Stanley is rarely seen without a smile on his face, Alfie has excelled at school his grades always where the should be if not above. During hospital stays he’s never late and still has his homework in on time. Jacks stayed working full time as always ,we have had more days together as a family because making memories will now more than ever always be our number one priority, jack and his brothers rode 300 miles from one country to another, we had a wedding booked within a month of being engaged because why not? Not forgetting a massively sucessful charity night; over £14,000 has been raised for charity and hospital equipment, with countless people offering to help in the process, we have been on the news, done several radio interviews, we feature on companies in america’s websites and the hospital nhs websites. 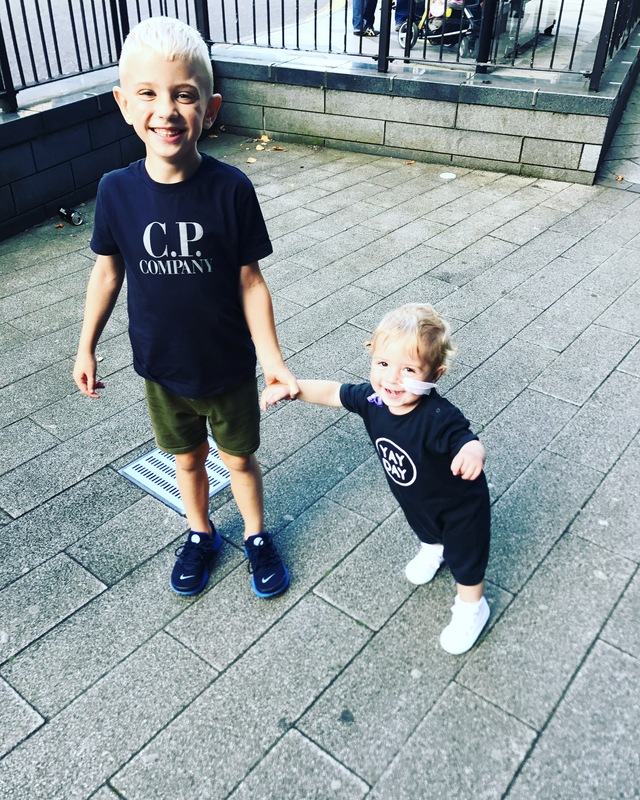 Thousands of people have looked at the blog and read about our life’s and learnt something about cf. and all of this in between living a life with cf, hospital stays and unexpected things happening without forgetting having to do “normal” day to day things also. It just goes to show that a bad situation can always be turned around to make something positive happen.. even if it’s not always easy to see it at the time. And It’s not all down days, in fact as time goes on it’s far more good than bad. But you wouldn’t be human if sometimes things didn’t get to you. But we work around every thing that is thrown at us and we get through it, partly because we don’t have a choice, what’s happened has happened it’s the life we have. But aside from that we did have a choice in how to deal with it, we took control of what we could, we could have quite easily given in, we could see the negatives in everything and constantly think why us? But that is just not us. 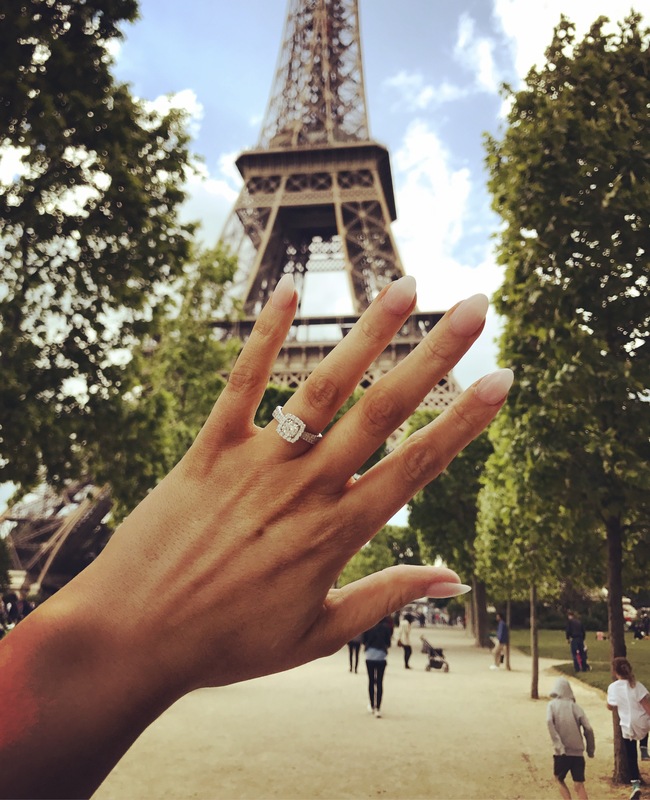 So here we are back to blogging again, showing the good and the bad. Just as we intended to do right at the very start of our what has turned out to be not so little journey.